Dilfer was named the Mustangs’ next head football coach at a press conference Friday afternoon. Dilfer said he was attracted to the “sense of community” at Lipscomb, and the timing just happened to be right. Former Lipscomb coach Scott Tillman resigned in November after finishing with a 2-9 record in 2018. 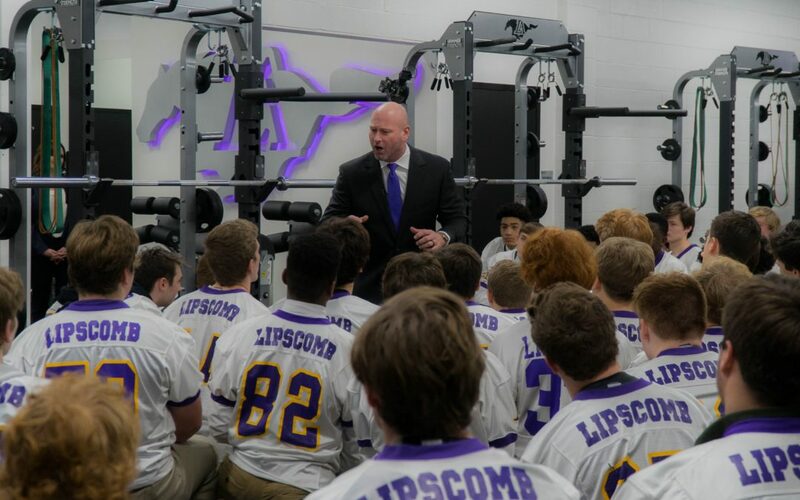 “There’s a lot that we loved about [coming to Lipscomb],” Dilfer said. A former first-round pick out of Fresno State in 1994, Dilfer spent time as a starter and backup for five NFL teams — the Tampa Bay Buccaneers, Baltimore Ravens, Seattle Seahawks, Cleveland Browns and San Francisco 49ers. The highlight of Dilfer’s NFL career came when he helped the Baltimore Ravens defeat the New York Giants 34-7 in Super Bowl XXXV in 2001. The 6-foot-4 California native appeared in 130 career games and threw for 20,518 yards and 113 touchdowns over his 14-season career. After his retirement in 2007, Dilfer joined the NFL Network as an analyst. He eventually signed a contract with ESPN in 2010 and served as a backup announcer for Monday Night Football. However, Dilfer was a victim of ESPN’s mass layoff of about 100 employees in April 2017 as the network tried to cut costs following the loss of 10 million subscribers.